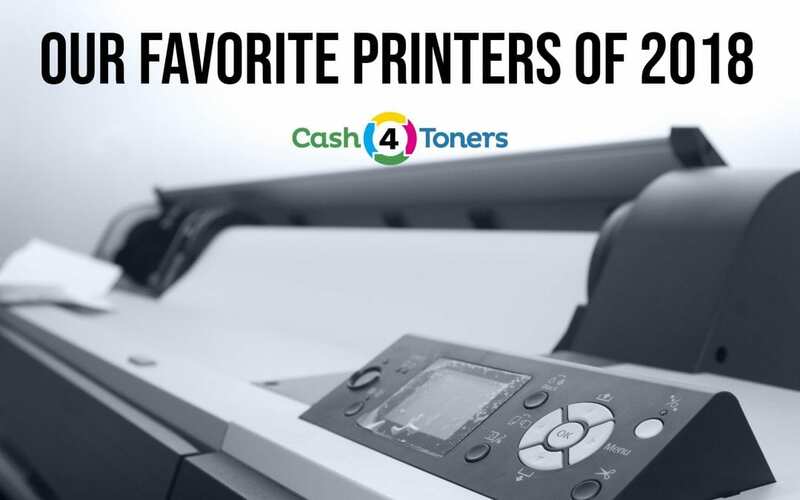 Here at Cash4Toners, the only thing we love more than ink and toner are the printers that use them. Multifunction machines, snappy laserjets, industrial-size copiers…we love them all! But not every printer is right for every printing job. 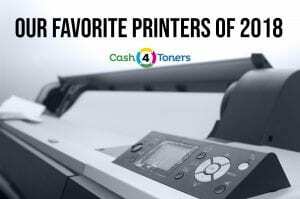 Here are the best ink and toner printers we’ve encountered in 2018. Pros: Versatile multifunction inkjet that costs around $100. Cons: Not ideal for large or long document printing. The Buzz: A budget-friendly do-it-all inkjet printer with low-cost ink refills. The Buzz: A good choice if you need a text-only, black-and-white printer with low running costs. Pros: Great photo quality on this multifunction inkjet. Cons: Build quality may be slightly sub-par. The Buzz: A top-notch multifunction inkjet with easy set-up and an attractive set of features. Pros: Multifunction master allows you to copy, fax, scan, use Airprint, print on both sides of the page, and print from your phone or tablet. The Buzz: Bonus: You can find replacement ink cartridges almost anywhere, and they’re not too expensive. Pros: Dependable, versatile multifunction printer. Cons: Too many ads for HP support products. Pros: Great color with duplex printing. Cons: Toner cartridges demand changing even when they’re not completely empty. The Buzz: Use genuine OEM toner cartridges for the best results. Pros: Scan documents and photos straight to e-mail, and scan multiple files to a single document. Cons: Difficult to set up. The Buzz: One of the benefits of the Photosmart 7520 is its reasonably priced inks. Pros: Heavy-duty and fast jam-free printing and scanning. Cons: Sensitive to third-party inks. The Buzz: The Officejet Pro is a workhorse! Cons: Louder than competitor models. The Buzz: Many claim undying devotion to this powerful printer! Not sure if you need an ink or toner printer? Check out our guide to toner printers vs. ink printers and determine which is best for you. Happy printing!